For some horror movies, there had been so much tragedy and misfortune plaguing the productions behind the scenes that, for all intents and purposes, the movies seemed cursed. These are the stories that will be explored in an all new series from Shudder, which will be simply titled as Cursed Films. With so many different movies having bizarre happenings going on behind the scenes, there will be plenty of material for the upcoming docu-series to examine. The announcement of the series comes at a time when Shudder seems to be gaining popularity rapidly with horror fans, thanks in part to their growing library of must-see original content. The new series is set to arrive on the service sometime in 2019. Jay Cheel (How to Build a Time Machine) will be writing and directing Cursed Films, in addition to executive producing with Brian Robertson. Andrew Nicholas McCann Smith and Laura Perlmutter of First Love Films are also executive producing. That Cheel is so involved in the project stems from his interest in stories about horror movies marred by tragedy, which he looks to highlight with his skills achieved from making documentaries. "As a documentary filmmaker and lifelong horror fan, this project has offered an amazing opportunity to indulge my own curiosities surrounding these 'cursed' film productions," Cheel says in a statement. Given how much these movies and their supposed cursed nature has been talked about for decades, it's clear that Cheel isn't alone with his fascination. Several iconic horror movies will be covered on the series. One notable title that will be touched on will be The Exorcist, which originally hit theaters in 1973. Its disturbing subject matter aside, the movie was given a reputation as being cursed for certain events surrounding its production, such as the hospitalization of an actor's young son following a motorbike accident. The Omen is another classic horror movie that's been considered to have a cursed set. Released in 1976, the movie is about two parents raising the Antichrist. One story regales that just months after the premiere of the movie, special effects consultant John Richardson was involved in a terrible automobile accident which killed his assistant. As the story goes, Richardson emerged from the wreckage to notice a nearby kilometer marker reading, "Ommen, 66.6." 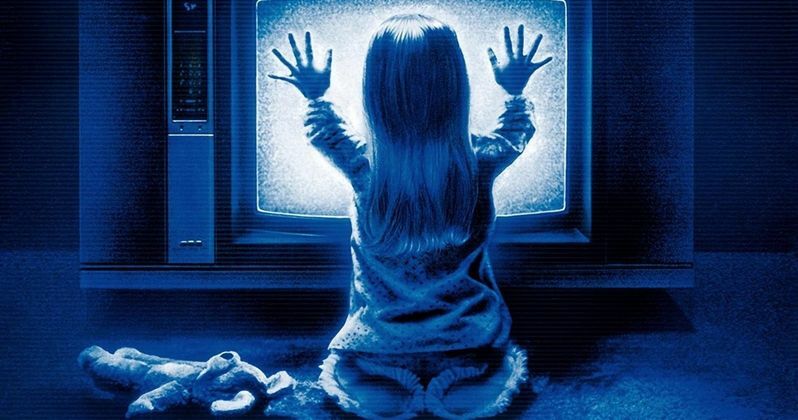 Of course, perhaps the most well-known cursed movie of all is the original Poltergeist. Several strange events surrounded the movie, including the tragic deaths of two very young members of the cast. Dominique Dunne, who played the eldest daughter, was strangled to death by an ex-boyfriend at the age of 22. Heather O'Rourke, who played little Carol Anne, died suddenly at the age of only 12 due to complications from an acute bowel obstruction. The urban legend about the movie being cursed has been spoken about so much, it even became the focus of an episode of E! True Hollywood Story. With Netflix soon reviving Unsolved Mysteries, something like Cursed Films seems to be a good alternative for Shudder. As it's due to arrive on the service sometime this year, more information about the docu-series should be coming soon. This information comes to us from Bloody Disgusting.